Photobrook Photography: Happy Halloween - Pumpkin and guinea pigs!! 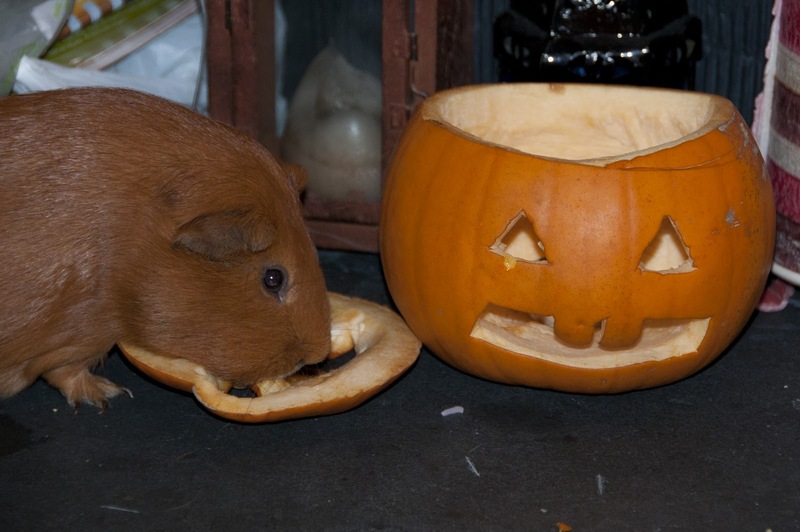 Happy Halloween - Pumpkin and guinea pigs!! 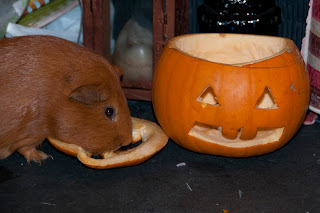 That'll teach me for leaving a pumpkin out on the floor with a guinea pig around!! Tiddles, just very cleverly walked up to our pumpkin removed the lid with his teeth and began tucking in!!! 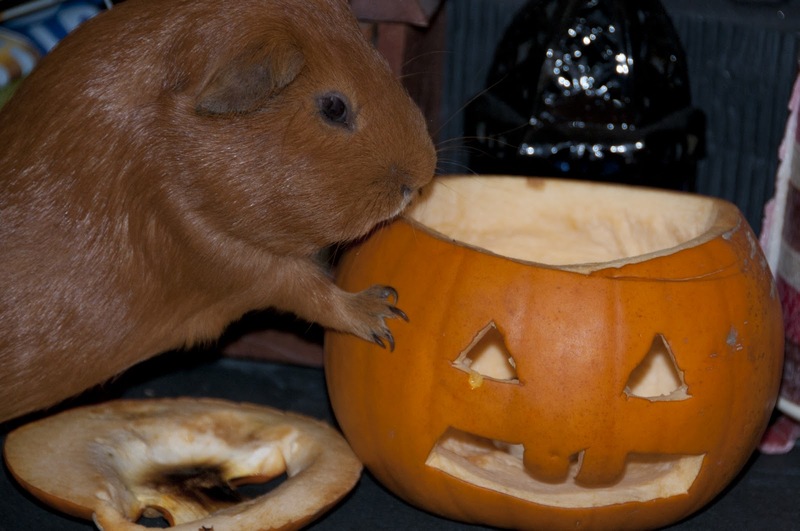 I'm not too sure guinea pigs are supposed to enjoy Halloween as much as mine is right now so the pumpkin has been removed and he is back to eating greens! !